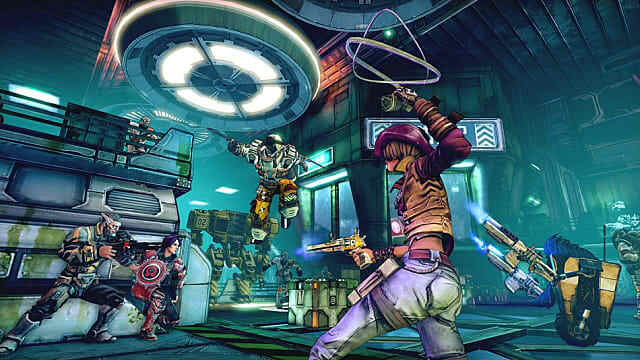 During Gearbox's PAX East press conference today, the developers announced remasters of Borderlands and Borderlands: The Handsome Collection, along with the first Borderlands tabletop game, Tiny Tina's Robot Party. The original Borderlands is getting a high-quality, modern remake on PlayStation 4, Xbox One, and PC, and is set to release on April 3. 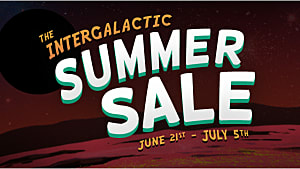 The game itself is the Game of the Year edition and includes new weapons, visual upgrades, character heads and skins, gold keys, and a host of other additions. It will also support Shift Codes, which was not introduced until Borderlands 2. Among the new quality of life improvements is the mini-map, which will display on-screen during play. Navigation was often cited as an issue in the original, and this feature will make moving around the vast game world much easier. 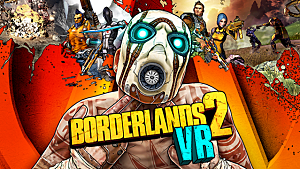 Borderlands 2 and Borderlands: The Pre-Sequel, bundled together as The Handsome Collection, are already available on PlayStation 4, Xbox One, and PC. However, they are getting a new update called the Ultra HD Texture Pack. 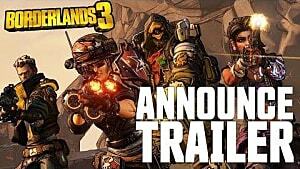 Gearbox released further details about the pack and how players can find them. 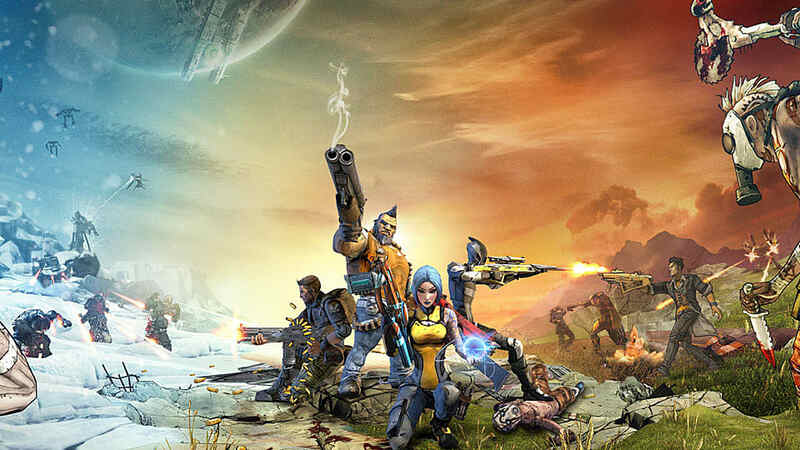 On PlayStation 4 Pro, the texture pack will appear as downloadable content on the digital product page for Borderlands: The Handsome Collection. 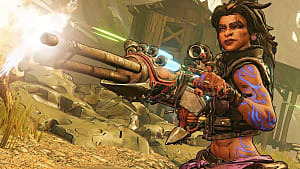 On PC and Xbox One X, players will have the option to download the texture pack for Borderlands: The Pre-Sequel and Borderlands 2 separately. The upgrade allows the games to be played in 4K, but those without a 4K device will still be able to enjoy a noticeable upgrade in textures and visuals. 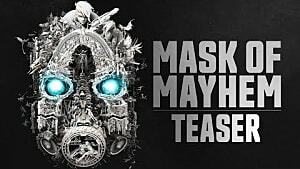 The DLC will be available on April 3 and, as mentioned, is free. 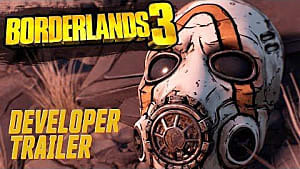 Paul Sage, creative director for Borderlands 3, took to the stage today as well, announcing new content for Borderlands 2 VR. 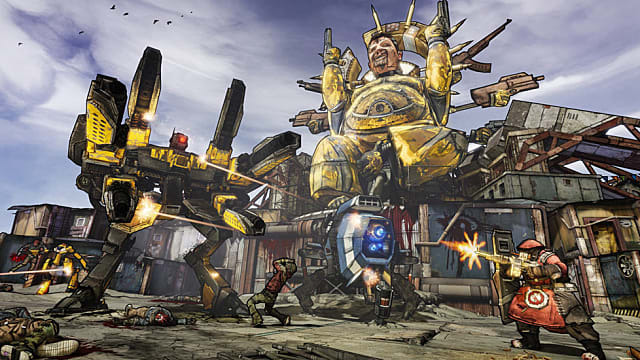 This summer, fans can expect to see all the existing DLC from Borderlands 2 make its way to the VR version. Included in today's presentation was a brief unveiling of the first tabletop game set in the Borderlands universe: Tiny Tina's Robot Tea Party. It's a card-based game where players race to be the first to build a ClapTrap. There is a variety of ClapTrap types to build, ranging from Wizard and Pirate to Gentleman. The game will also include cards to help interfere with opponents' progress, including steal cards. Players may attach incorrect parts to their opponents' Clap Traps as well. 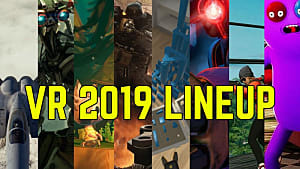 The models shown during the PAX presentation had just arrived, according to Pitchford, but those who aren't attending PAX East can buy them from the TinyTinaGames website here.